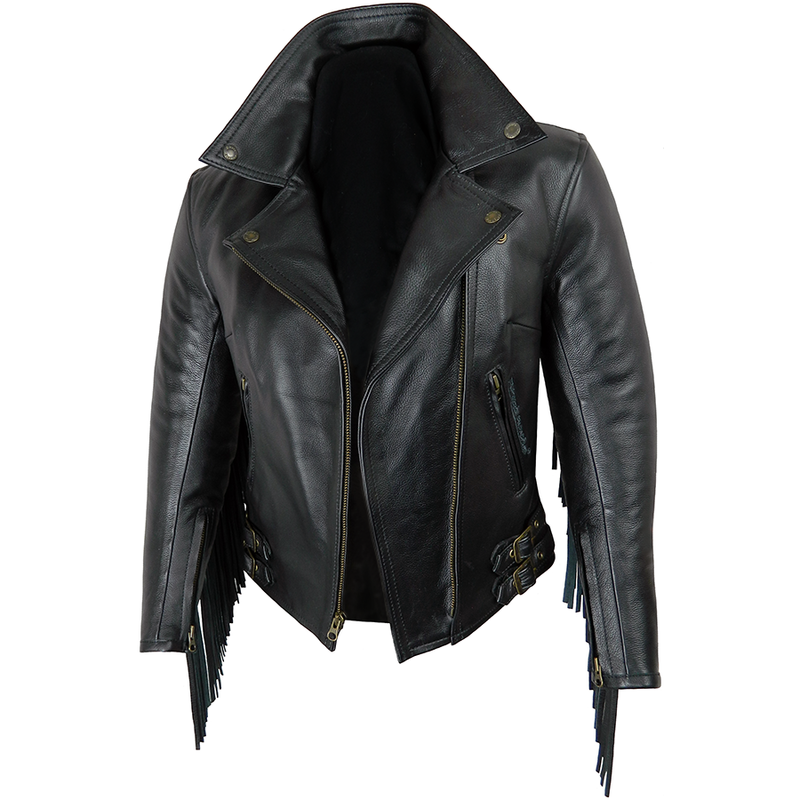 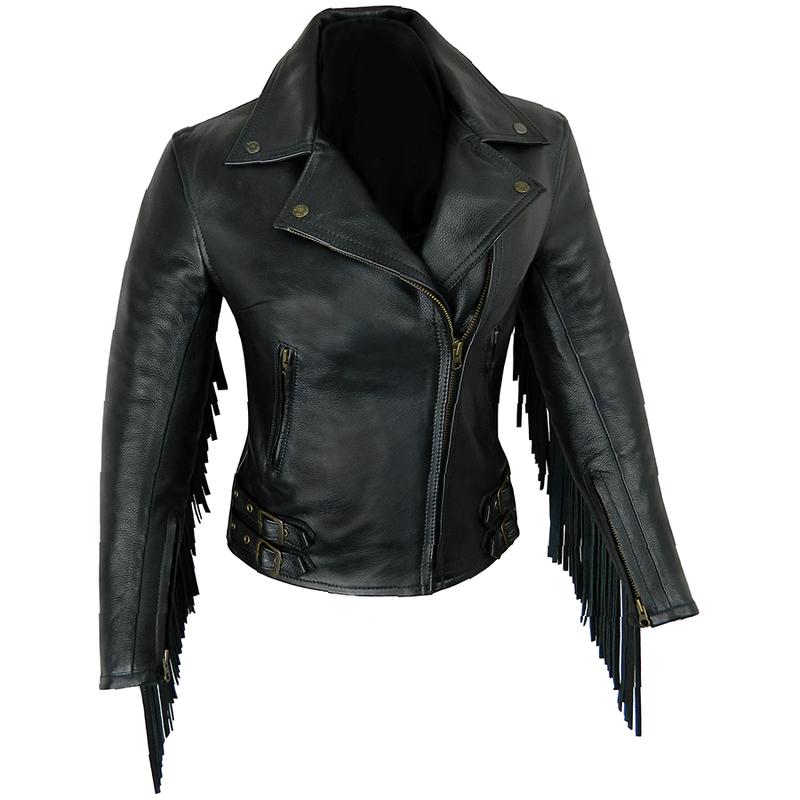 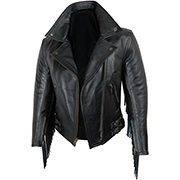 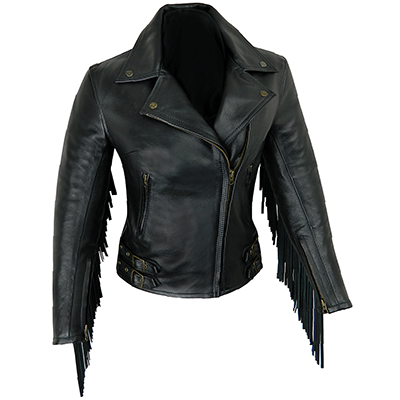 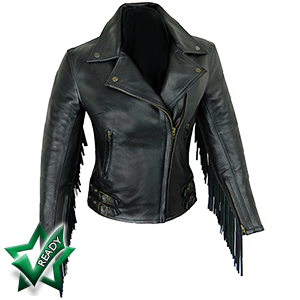 The fringed version of our ever popular Elite Patrol motorbike jacket has also been a big hit. 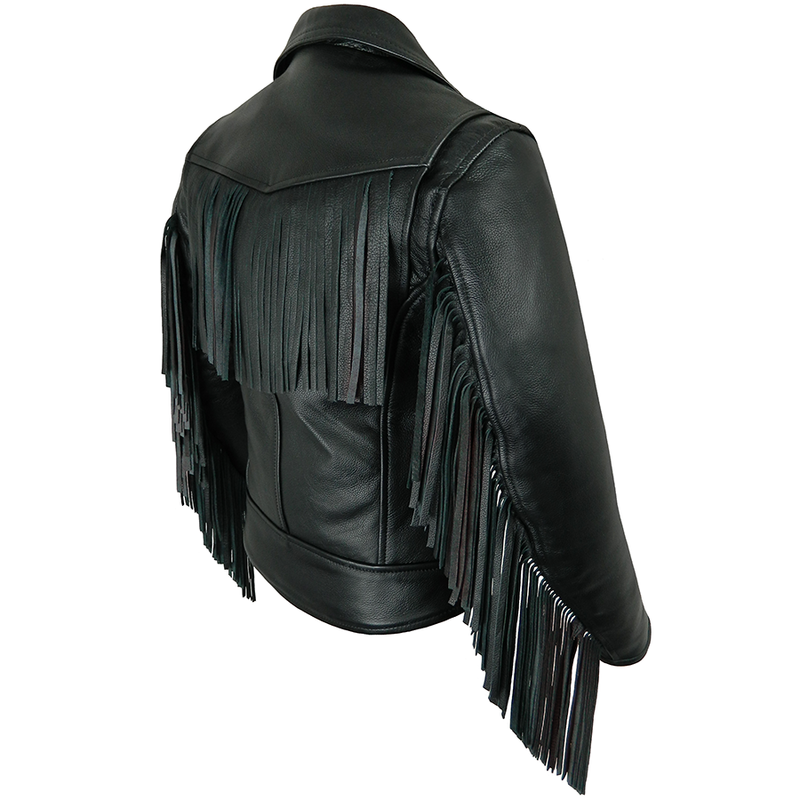 The 8" fringes go one step further in the 'standing out' stakes. 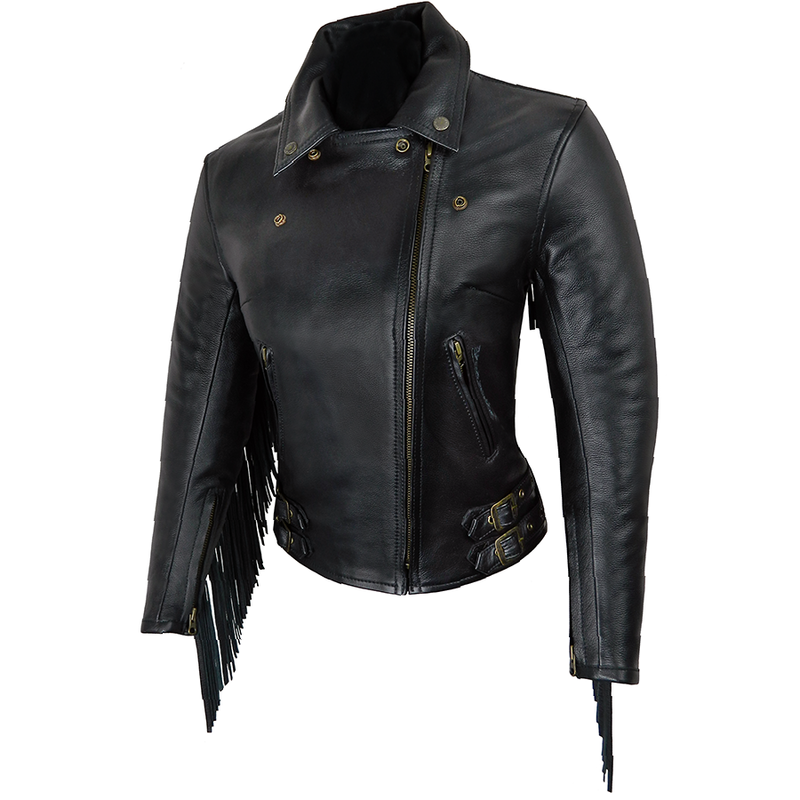 Heavy duty, yet supple, cowhide. 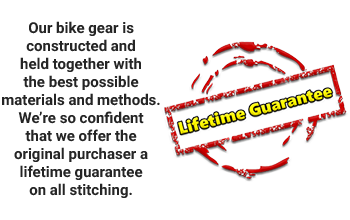 Safe and comfortable cotton lining.